Welcome to Locksmith On Demand the leading locksmith website in the industry. If you decide to use this website or want to register you have to comply to the following terms and conditions. Locksmith On Demand policy will govern this relationship. The term "Locksmith On Demand" or "us" or "we" refers to the owner of the website. The term "you" refers to the user or viewer of our website. The information contained in this website is for information purposes only and is subject to change without notice. Neither Locksmith On Demand does not guarantee the accuracy nor the performance of the website. The same applies to the integrity or suitableness of the information and materials available on the Locksmith On Demand website. You the user acknowledges that the information and materials that are availible in this website may contain errors and as such we exclude liability for any such errors to the full extent of United Kingdom law and legislation. The usage of information within the Locksmith on Demand website is carried out at your own risk, and as such you understand that we will not be held liable if information here is available to the contrary. Moreover, it will be your responsibility to make sure the the information and material coincide with your expectations. All material and information contained within this website is the sole property of Locksmith On Demand. This includes all images, content, and Graphics. Also this is not limited to design specifications. Copying the website is forbidden other than in agreement with the copyright notice, which forms part of these terms and conditions. The illegal use of this website will almost certainly result in legal action for those who carry out such an act. We will be in our full legal parameters to seek the appropriate compensation. 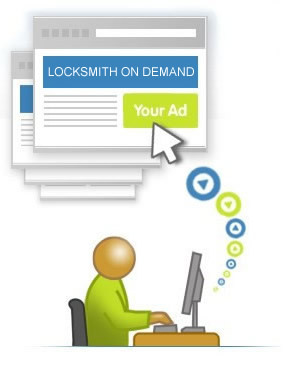 Locksmith On Demand may include links to other websites. The users of this website bare the full responsibility to ensure the legitimacy of such companies. Companies that are being advertised does not mean that we endorse the website.